The movie theater has become my second home with many great films throughout the year. My wife is a Hunger Games fanatic and we enjoyed an early screening of Catching Fire. I went into the first film having read the book, and my experience was bogged down as a result by comparing what occurred in the two mediums. The choice was simple this time: don’t touch the book, and it paid huge dividends. Katniss Everdeen and Peeta Mellark are the newest celebrity darlings of the Capitol. They embark on a victory tour with a gun to their heads by President Snow, as he instructs them to quell the rising of revolutionary tensions in the Districts by selling their fabled romance. The emotional fallout of the games combined with a wide array of complicated feelings between Katniss and Peeta makes this an impossible task. As a result, they are forced to return to the games with twenty-two previous winners in an effort to extinguish the symbol of hope Katniss is becoming. Until this movie, all the fuss about Jennifer Lawrence was lost on me. Now, I get it. This narrative gave her character more depth and Lawrence perfectly projected everything required to be a strong lead. 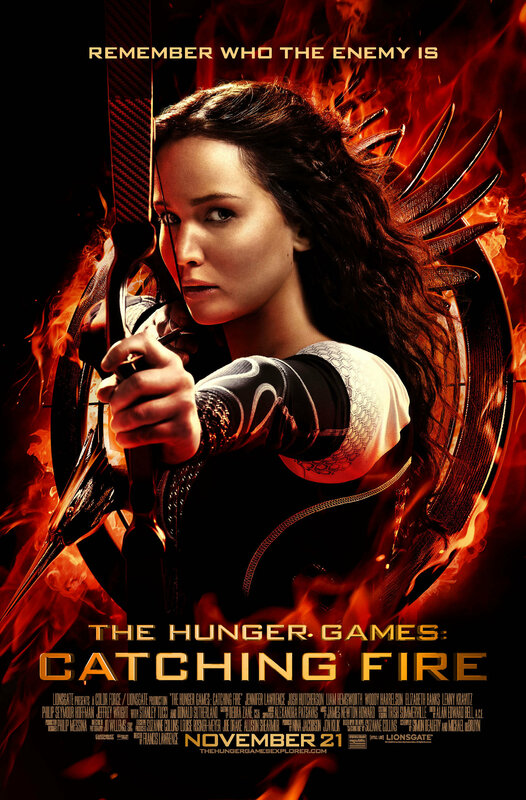 I know she has an Oscar to her credit, but something about her performance as Katniss in this sequel enlightened me on how wonderful an actress she is. Last time around, I wanted to slap Effie Trinket, played by Elizabeth Banks. This time around, I felt bad for her and almost wanted to hire her as my publicist…. almost. Philip Seymour Hoffman is always money and was no different as the head game maker. Jenna Malone as Johanna Mason was a delightful surprise. She is a more experienced and angry tribute who had her share of fun moments. The emotional turmoil and oppressive hardships of this dystopian society were conveyed in a stronger fashion this time out. One of my problems with the first film is that it is called Hunger Games and yet, no one seemed that hungry. My only concern going into the second movie was the actual Hunger Games. Instead of an every person for them self battle royal, we were treated to several sub plots that kept you guessing. Some of the tributes simply wanted to win while others just wanted to stay alive and then you had those who had a much larger agenda. Catching Fire was one of the most enjoyable times I have ever had in a movie theater. Everything felt bigger and better, and the pacing of the story absorbed my complete attention. Also, the shaky camera from part one was nowhere to be found. This sequel hit the Bull’s Eye in spades and, in essence, my wife and I are already in line for the third film schedule to be released next year.